Learn The Basics of Keyword Research! Why You Need To Do Keyword Research! In order to get the most effective keywords for your client, you need to do keyword research! Keyword Research is looking for keywords that will be the most effective for your client, and ones that would give your client a higher ranking in search engines and drive traffic to their website. 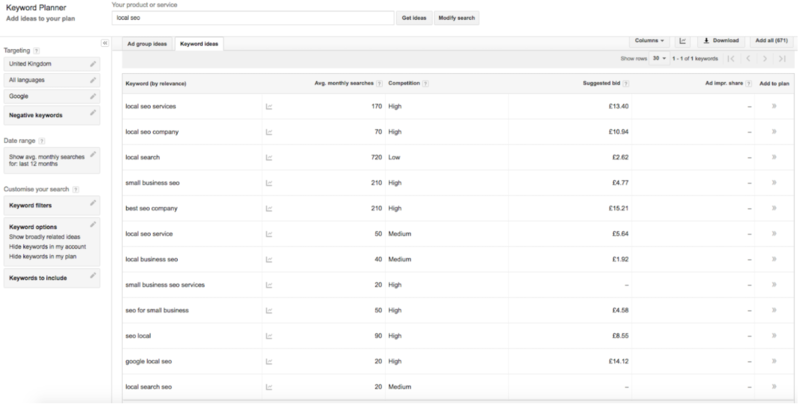 Average Monthly Search Volume – If people aren’t searching for a keyword, it would be a bad keyword to use! Keyword Difficulty – This is the amount of people bidding on that keyword. The higher the competition, the more money you may have to pay for that keyword and the more money it will cost your client! Keyword Ranking – This is where the keyword is ranking in a search engine – Google, for example. Using Google Adwords, you can see what keywords people are searching for and how often people are searching for them each month. This is important as you want to make sure that people are actively seeking out your keywords. If no one is searching for these keywords, they should not be used as they will not reflect well upon your website and can lead to a lower ranking for your website. Make sure that all of your keywords are relevant to the product or service that you are offering. E.g. if you run a digital marketing company, you need to make sure that your keywords are relevant to the digital marketing industry (i.e. local seo) and not something that is completely irrelevant to digital marketing (i.e. Kim Kardashian). Also, if your client operates in a certain area, make sure that your keywords are relevant to your geographic area. For example, if your client is only based in the UK and doesn’t do business with international customers, the keywords should be UK targeted. Any keywords that are not UK targeted should not be used i.e. digital marketing UK = yes, digital marketing USA = no. Using specialist programs, you can get the keyword difficulty for your keywords. This allows you to determine how popular the keyword is and gives you an indication of whether this could be expensive for your client during an auction. If the keyword difficulty is for example 20%, this could be a good keyword to use as it has a fairly low amount of people competing with you for that keyword. If you have a keyword with a difficulty of 90%, this could be a bad keyword to use as a lot of people are competing with you for that keyword. Keywords with a high difficulty can be used for a client if completely necessary, but bear in mind that these keywords will cost you more. Keyword ranking can be obtained using programs such as AWR. Keyword ranking shows where a particular keyword is ranking within a search engine (usually Google). This is useful as it shows you where a keyword that you are considering using is ranking. If the keyword is ranking well (i.e. position 1-4), it could be good for you to use as keywords that rank highly in search engines also give your website a higher ranking in search engines. If it has a low ranking (i.e. position 74) this may not be a good keyword to use as it could drag down the ranking of your website within search engines. 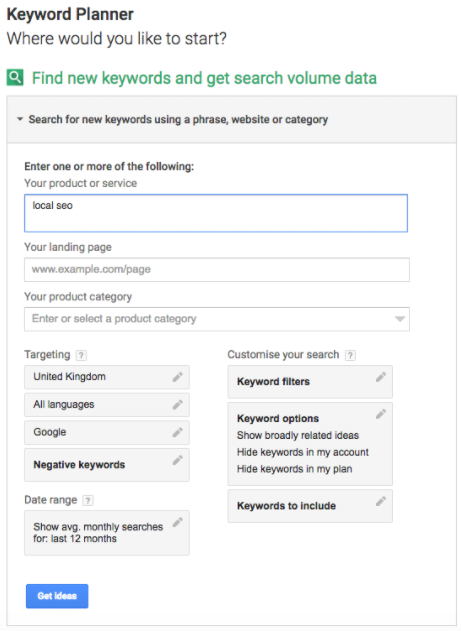 Want to know more about keyword research? See how our Search Engine Optimisation services can help your business.